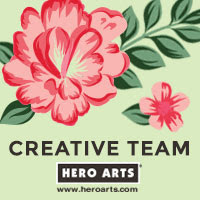 Hello there, if you follow me on Instagram, you will have seen that I was making this card yesterday. It was a first for me in many ways. 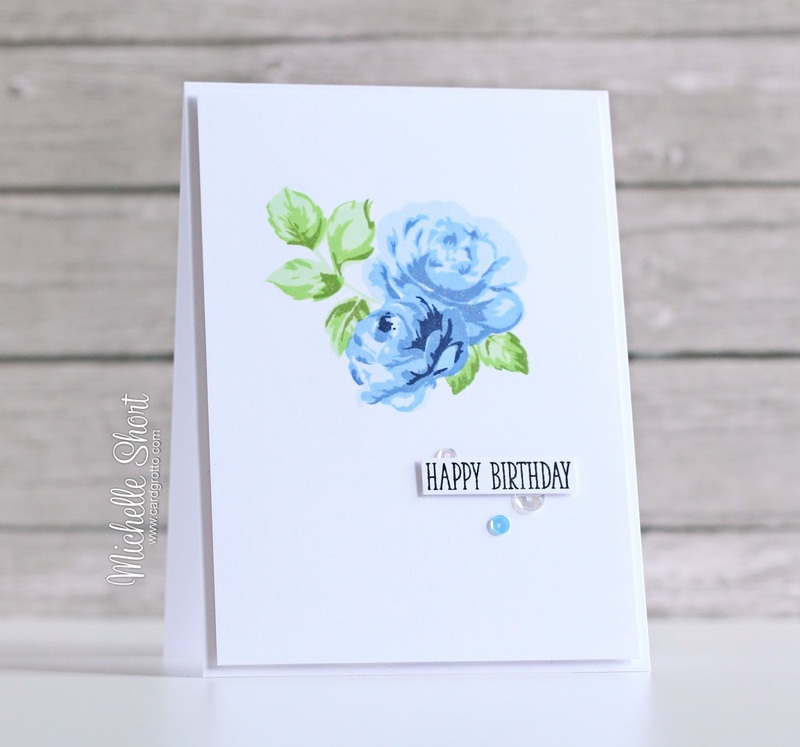 I used this Vintage Roses set by Altenew for the first time, I also used my MISTI for the first time too. I didn't have a try before I actually stamped on the cardstock so It really was a bit of an experiment. 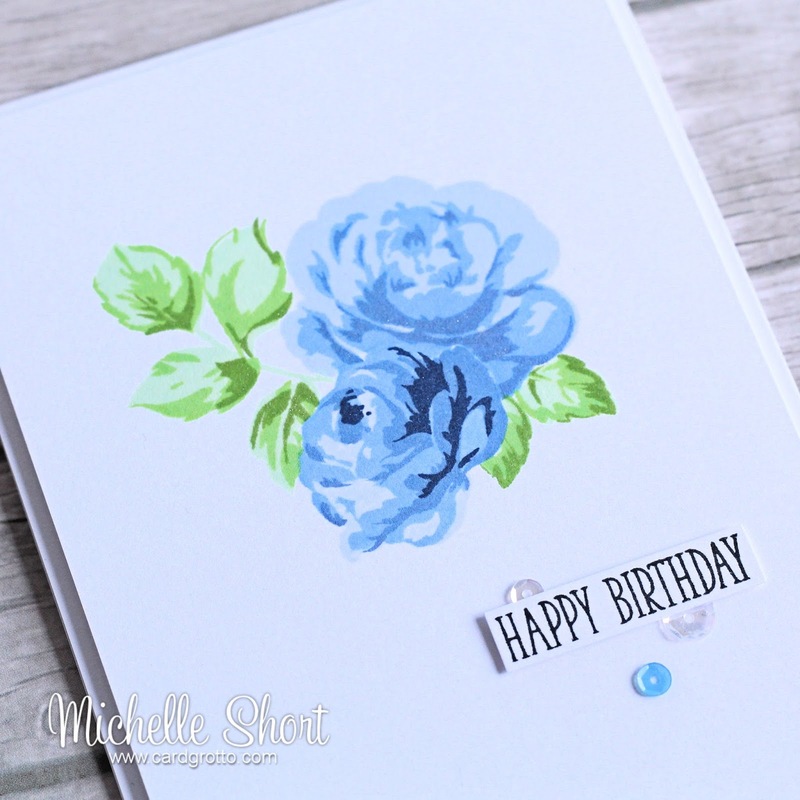 I first took a panel of white cardstock and then stamped the roses (I stamped one and then masked it off before stamping the second one) using various shades of blue HA Shadow inks. I masked off the second rose and then stamped the leaves, using two shades of HA Shadow Inks and one PTI ink. I then took the 'Happy Birthday' sentiment from the Clearly Besotted Many Mini Messages set and stamped this on a separate piece of cardstock. This was added to the panel with clear foam tape and I embellished with a few Pretty pink Posh sequins. As you can see, I didn't line everything up properly. I should have practiced first really but in a way this was my practice. I didn't think it was too bad though so I did make it in to a card. This wouldn't be one I would send to a fellow stamper but I doubt a non-stamper would notice (well I hope not anyway!). As always, thanks so much for visiting me today, I really do appreciate it. I hope you have a great day! So beautiful Michelle. You're making me ashamed - I've had this set for about a month and not used it! Must have a play! That's so gorgeous Michelle! I'm anxiously awaiting a delivery of Altenew goodies, can't wait for them to arrive! So it looks like you got on well with the Misti? 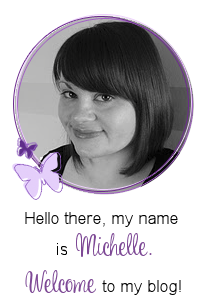 This is absolutely gorgeous, Michelle!! Love the ink colors you chose and the touches of sequin details. And I think the beauty of these multi-step stamp sets is that they don't have to be lined up perfectly in order to look stunning. You did an amazing job!